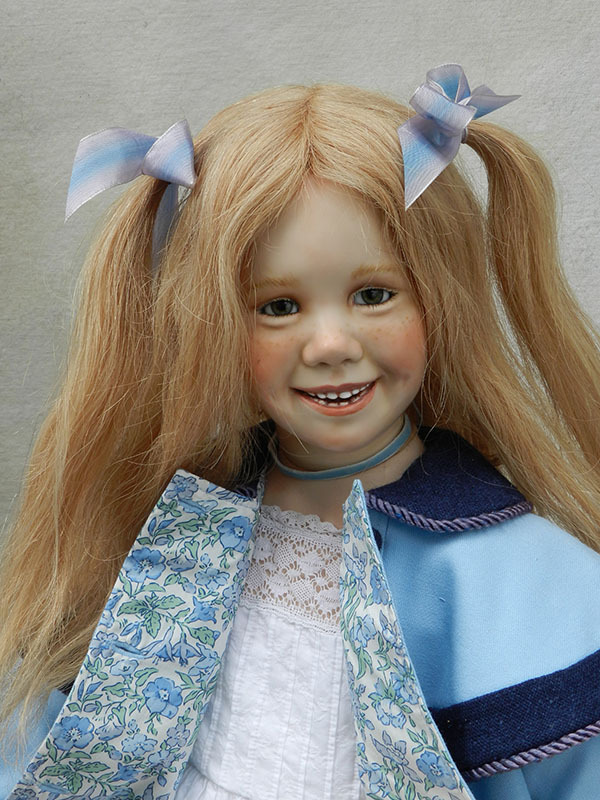 Heather Jane is a Krey Classic with a smiling face, her wig is blond human hair. She wears a classic blue and navy wool coat lined with a Liberty’s of London print. Her dress is a white cotton antique. 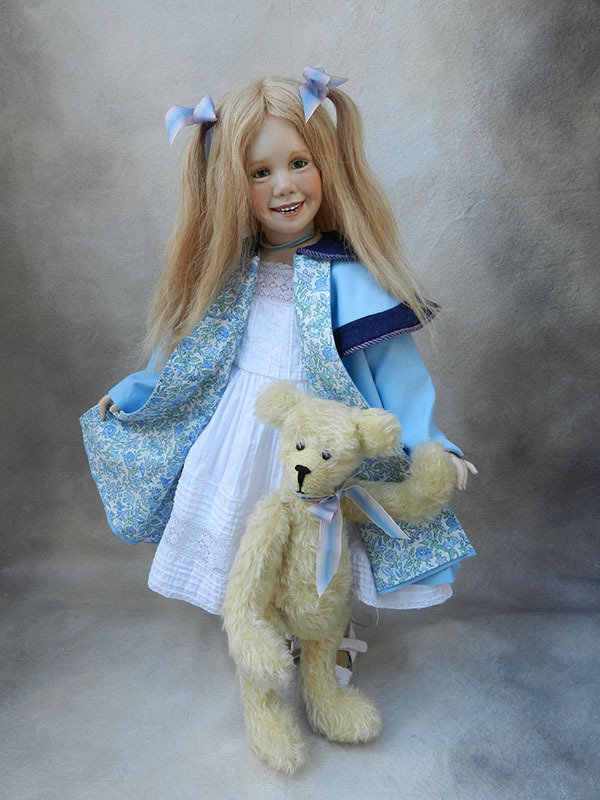 She has a 15" blond mohair bear.